Wilfred O. Dietrich recently announced the creation of the Dan Kubiak "TEN TALL TEXANS" exhibit at Brenham's Heritage Museum. Ribbon cutting ceremonies took place at the museum on July 19 with a crowd on hand to see the display. The exhibit is rich in Texas history with exhibits on Sam Houston, Davy Crockett and other Texas heroes described in Dan's first book, "Ten Tall Texans". The exhibit also features photos of Representative Kubiak and his family and traces his life from early childhood to his service in the Texas House of Representatives. The museum is located near downtown Brenham on 105 S Market Steet. Call 979- 830-8445 for more information. Dan earned a football schlarship to the University of Texas where he obtained a doctorate degree in Education. As a young man, Dan was a Math Teacher and Coach at the Vernon Public Schools in Vernon, Texas and at the Cypress-Fairbanks High School. His knowledge, enthusisiam, and personable skills soon earned him the Teacher of the Year Award in 1967 from the district and from the Texas State Teachers Association. He also wrote and published his first book, "Ten Tall Texans" at this time. The young lawmaker was named one of the "Ten Best Legislators" in 1973 by Texas Monthly magazine, which called him "the best educated education chairman in modern time." The Texas County Agents Association selected him "Man of the Year" in Agriculture in 1981. The Texas Classroom Teachers Association named him Legislator of the Year" in 1983. BRENHAM --Republicans conceded that their candidate, Charles B. Jones of College Station, while a good man, was not going to beat veteran Rep. Dan Kubiak (D-Rockdale). Even Jones agreed. That was before Aug. 30. Dan Kubiak's sudden death from heart disease not only cost the legislature one of its sturdiest workhorses, but also gave the Republicans the upper hand in a district pivotal to control of the Texas House. In most competitive races, candidates have at least seven months to raise money, build an organization, and campaign. Circumstances in Dist. 13 have compressed that time to roughly 60 days. The abbreviated calendar has everyone scrambling. Jones agreed to an interview but arrived late due to a miscommunication about return arrangements from a festival in Chappell Hill. LSR was unable to arrange an in-person or telephone interview with Democratic nominee Teddy Boehm, due to her time constraints. The campaign did, however, provide written background information for this article. In 1996, Republicans averaged 55.1 percent in district-wide races, slightly more than one point above the statewide composite. The 1998 optimal Republican voting strength in Dist. 13 is 57.4 percent. The district's population is evenly-dispersed among the six counties Austin, Brazos, Burleson, Lee, Milam, and Washington. The district's population is nearly two-thirds rural. The most populous county is Washington, where the Boehm family is well-known, Teddy as a Democratic precinct chairman for 29 years, and her husband Henry, a retired physician, as chairman of Blinn College's board of trustees. However, the last several years have brought Brenham an influx of new residents from Houston, as city dwellers move out to escape urban congestion, pollution, crime, and stress. The strip malls and amenities along the U.S. 290 loop have been recently spruced to reflect more of a suburban than a rural feel. These new residents have not only augmented local GOP rolls, but have been slow to assimilate in the Brenham establishment, and thus don't know the Boehms. Most of the cities of Bryan and College Station including the campus of Texas A&M University are in neighboring Dist. 14. Nevertheless, some students and many faculty members reside in Dist. 13. There is a large, generally conservative German-Czech influence in the district. However, one notices a sizable union presence, especially when driving in the northern part of the district. Local ties are vital in this district, and both candidates are using managers with local expertise. Jones has hired Rockdale native Keith Kouba, a former lobbyist for the Texas Association of Business & Chambers of Commerce, a graduate of Texas A&M, and a former state College Republican president. Brenham native Joel Romo, who was Dan Kubiak's most recent legislative and political aide and is also an A&M grad, works for Boehm. Next year will mark the first time in 30 years that a Kubiak has not represented Dist. 13. Dan Kubiak began the dynasty in 1968 and served 14 years during his first stint. When he gave up the seat to run unsuccessfully for land commissioner, his brother L. B. took it over, serving eight years. L. B. stepped aside in 1990, and Dan reclaimed the seat. Dan's toughest challenge came in 1992, when he eked out a 52 to 48 percent win over Robert Mikeska, a Brenham Republican. Voters in the southern end of the district felt Dan was neglecting them, and Mikeska won huge margins in Washington and Austin counties. From that point on, Dan devoted greater time and attention to the southern part of the district. He carried both counties in his 60 to 40 percent victory over Milano Republican James Hartley in 1996, albeit Austin County by only 31 votes. After Dan's death, L. B. Kubiak was contacted by House Speaker Pete Laney to replace Dan on the November ballot. L. B. agreed to have his name put forward but did not attend the Democratic nomination meeting because it was scheduled a few hours following Dan's burial in Austin. At that meeting, L. B. and Joel Romo led in the first round of balloting, but after a 15-minute recess, the six Democratic county chairmen voted unanimously for Boehm. Both sides have sought to claim the Kubiak legacy. Boehm moved first, hiring Romo as her campaign manager shortly after receiving the nomination. Romo's impact was regarded as significant he possessed the lists, contacts, and practical district knowledge from Kubiak's previous races and his hiring garnered a front-page article in the Brenham paper. Jones countered in a bigger way on Oct. 14, when L. B. Kubiak formally endorsed him, saying, "After considering both candidates in the race, I believe that Charles Jones will serve Dist. 13 with the values that my brother Dan Kubiak championed." "L. B. Kubiak's trust and support mean a lot to me," Jones said. "Dan and I shared many conservative principles which need to be continued in the legislature." "I do wonder if Mr. Jones is such a supporter of Mr. (Dan) Kubiak's principles," a stunned Boehm asked the Austin American-Statesman, "why was he running against him?" The Kubiak endorsement is expected to exert the greatest impact in Milam and Burleson counties. Statistically, Milam is the weakest Republican county of the six, but it is the Kubiaks' home county. The Democrats' decision to nominate Boehm over L. B. has drawn scathing criticism from the Rockdale paper its Sept. 10 lead editorial on the matter was entitled "Embarrassed" and stirred a backlash among local Democrats. AUSTIN, Texas (AP) - State Rep. Dan Kubiak, who died over the weekend, was remembered Monday as a dedicated lawmaker and unflagging supporter of education. "We are all shocked and saddened by the sudden death of our friend and colleague," said House Speaker Pete Laney, D-Hale Center. "We have lost a good friend and the people of Texas have lost an outstanding legislator who worked tirelessly on behalf of his constituents to improve public education and to ensure that state tax dollars were spent wisely and efficiently," Laney said. A Democrat, he served in the Texas House from 1969 to 1983, then was elected again in 1990. He had completed 11 terms in the House and was seeking reelection to a 12th at the time of his death. The secretary of state's office, which oversees elections, said the Democratic Party would have until Friday to nominate a candidate for that spot on the ballot. House District 13 includes Austin, Burleson, Lee, Milam and Washington counties and part of Brazos County. In the House, Kubiak had become the Legislature's point man on the year 2000 computer glitch. As head of a House Appropriations subcommittee, he was monitoring state agencies' efforts to avoid computer problems brought on by the year 2000 change. "Dan was a good friend and a capable legislator," said Gov. George W. Bush. "We will miss him." "I am greatly saddened to learn that he has passed away," added Sen. Carlos Truan, D-Corpus Christi, the dean of the Senate. "He was a very, very dedicated legislator, particularly in the field of education." Lane Zivley, executive director of the Texas Public Employees Association, said Kubiak worked hard for state workers. "He fought day and night to help the state employees out. Dan realized they were human beings and not second-class citizens. As far as I'm concerned, Dan Kubiak is going to be one of the most missed politicians this state has ever had," Zivley said. Survivors include three children: Kelly Dan Kubiak, Alyssa Lea Kubiak and Kody Earl Kubiak. He will be dearly missed and long remembered by his family, friends, and associates. "God's Gift to us is Life. What we do with that life is our Gift back to him"- Dan Kubiak's favorite quote. 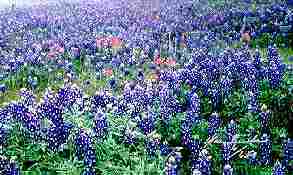 Dan Kubiak was born on March 19, 1938 (oldest of six children of John and Connie Kubiak) in Reagan, Falls County, Texas. He attended Reagan Elementary and Jr. High School in Reagan, Texas (1946-1953). Dan graduated from Marlin High School, Marlin, Texas (Falls County) in 1957. He served as class President and lettered in Football, basketball, track and Baseball. Dan was recruited by Blinn College to play Basketball and Football; graduated from Blinn College, Brenham, Texas with an A.A. Degree in 1959.Kubiak attended the University of Texas on a football schlorship and graduated with a B.B.A. in Mathematics in 1962.Dan played semi-pro football for the Vernon Vikings (State Champs in 1962). Kubiak received his Master's of Education from Midwestern University, Wichita Falls, Texas in 1968 and his doctorate degree (PhD in Education) from the University of Texas at Austin. Dan was a Math Teacher and Coach at the Vernon Public Schools in Vernon, Texas in 1962 and 1963 and received the Teacher of the Year Award in 1967 from both the Cypress-Fairbanks High School and the Texas State Teachers Association (District Award). Kubiak began his political career in 1968 when he won his first term in the 61st Texas Legislature by defeating an incumbent state representative of District 27 (Milam, Falls and Robertson Counties). Dan was reelected to his second term in 1970 and in 1972 defeated the District 36 (Burlington, Milam, Robertson, Washington and Waller Counties) incumbent to win his third legislative term. In 1973, Kubiak was a delegate to the historic constitutional convention in Milam County as Chairman of the Committee and Section on Education. He was later reelected in 1974, 1976, 1978 and 1980 as the representative for District 36. During these seven terms in office, Kubiak served on the Education Committee, Agriculture and Livestock Committee, Parks and Wildlife Committee, Penitentiaries Committee, Special Committee on Four-Quarter School Plan, Rules Committee and the Appropriations Committee. He served as Chairman of the Budget and Oversight Committee and the Subcommittee on Federal Funds during the 67th Legislature (1981), his seventh term in office. 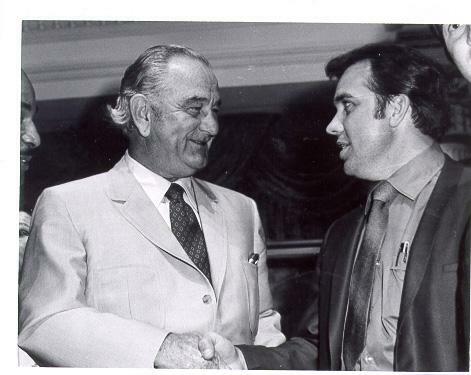 Speaker of the House Bill Clayton appointed Kubiak as Chairman of the State Fire Ant Committee in 1981. After his seventh term in office, Kubiak left public office to pursue other political and business interests. He unsuccessfully ran for Texas Land Commissioner in 1982 and lost to Republican Phil Gramm in a special election for U.S. Congress in 1983. In 1984, he lost another bid for Congress againtist the GOP's Joe Barton of Ennis. During this time he also concentrated on personal real estate, farming and construction projects. 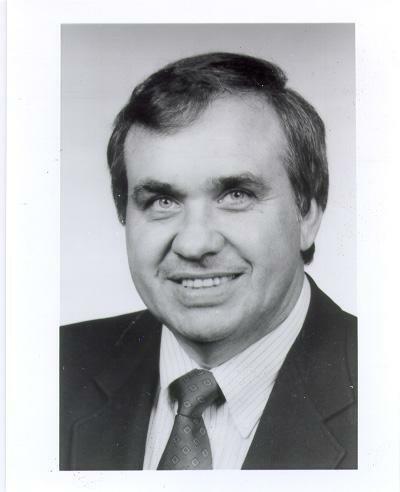 In 1990 Kubiak was reelected to his 8th term in the legislature representing District 13 (Burlington, Milam, Robertson, Washington and Waller counties). He was reelected in 1992, 1994 and 1996. In 1992, District 13 was redrawn to include Austin, Brazos, Burleson, Lee, Milam and Washington Counties. During these terms he served on the Higher Education Committee, the Agriculture and Livestock Committee, the Committee to Study Texas State Technical College, the Appropraitions Committee, the Licensing and Administrative Procedures Committee and the Joint Interim Committee on State Investment Policy. He served as Chairman of the Funding Formulas for Higher Education Committee, the Deferred Maintenance Committee, the Sub-Committee for regulatory Agencies and the Oversight of Major Information Systems Interim Committee. Kubiak was Vice-Chairman for the Licensing and Administrative Procedures Committee. 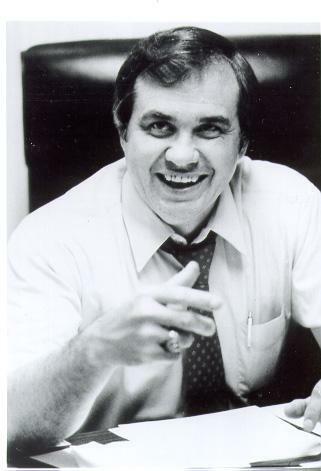 Kubiak was running for reelection in 1998 when he died unexpectedly at his home in Rockdale, Texas. Throughout his 22 years in public office, Kubiak was the recipient of many awards and a member of many private and non-profit organizations in addition to being active in his hometown community of Rockdale, Texas. 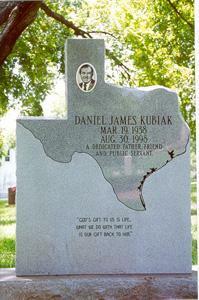 Dan Kubiak was the father of three children and is buried at the Texas State Cemetery. Dan is also the author of Ten Tall Texans, (1967, Naylor)- the biography of ten founding fathers of the Republic of Texas, and Monument to a Black Man, (1972, Naylor)- the biography of William Goyens, confidant and aide of Sam Houston, land owner in early day Texas and Indian treaty negotiator. The Honorable Dan Kubiak served as Chairman of the Texas House Committee on Appropriation Sub-committee on Management Information Systems from 1995 until his death on August 30, 1998. The Sub- committee was charged with oversight of the Year 2000 remediation efforts of state government in 1997. Chairman Kubiak's forceful leadership on the committee raised the level of awareness of this problem to the executive level of agencies and universities in Texas. He established a deadline of December 31, 1998, for state government systems to be converted, leaving the balance of 1999 for testing and damage control. Many schedules were accelerated to meet Chairman Kubiak's deadline, helping insure successful projects earlier rather than too late. His meetings were interactive - he wanted to know about obstacles to success, and worked to remove them. He also was a champion to us all as he exhorted frequently in his meetings, "Failure is not an option!" Chairman Kubiak encouraged every effort to broaden the awareness of the Year 2000 problem throughout every community in Texas. He supported the Project Office outreach to local government. He was available to the people of Texas to advise them of the problem, and offer his assistance. He was Mr. Year 2000 in the Texas House of Representatives. His reputation as a member of the prestigious Texas House Committee on Appropriations and his understanding of the seriousness of the issue gave it instant credibility to many other political and business leaders throughout Texas. Chairman Dan Kubiak was a true champion and hero of the Year 2000 effort in Texas. He did not hesitate to identify himself the problem and never wavered in his support of efforts to defeat it. The last time I saw him before his untimely death, he was lunching in the Texas Capitol, sporting a large lapel button that read "R U Y2K OK?" Yes, Mr. Chairman, thanks to you we are well on our way to Y2K OKness. In the Legislature, Kubiak contributed his expertise in education and budget issues. He was named one of the "Ten Best Legislators" in 1973 by Texas Monthly magazine, which called him "the best educated education chairman in modern time." The Texas County Agents Association selected him "Man of the Year" in Agriculture in 1981. The Texas Classroom Teachers Association named him Legislator of the Year" in 1983. The Texas Public Employee Association and State Employees named him "Legislator of the Year" in 1993, and the Texas 4- H Alumni awarded him the same honor in 1994. Trinity Health Services Corporation's dream of providing long-term care services for the elderly in the Washington County area is one step closer to realization with the July 7 groundbreaking for a 120-bed long-term care facility in Brenham. Trinity Care Center will be located at North Park and Sayles streets, on property which was part of the former St. Jude Hospital. Following a welcome by Milton Tate, Chairman of the Care Center Board, the invocation was given by Father David Williams of St. Mary's Catholic Church in Brenham. State Representative Dan Kubiak was on hand to address the audience. "Washington County has once again made history by working as a team and turning a dream into a reality," Kubiak said. "The legislation that made this dream come true, House Bill 606 which I co-authored, was supported and guided by everyone here today," Kubiak said. "By working as a team, Washington County helped pass this legislation by putting in phone calls, testimony, and letters of support to my colleagues that helped get the support necessary to pass this bill." "This team effort continued as everyone did their part to help secure nearly $332,000 through the Texas Capital Fund Program from the Texas Department of Economic Development," Kubiak said. "I'm honored to be a team player and be among such great leaders." "In developing this project, Trinity Health Services Corporation completed an extensive feasibility study demonstrating strong community support for expanded services to the elderly members of our community," THSC President John Simms said. "Additionally, State Representative Dan Kubiak, the Washington County Commissioners Court and the Brenham City Commissioners were very supportive in assisting the facility in qualifying for licensed Medicaid beds and other state funding." Others on hand for the groundbreaking ceremony were: Suzanna Sugarman with Gentry Development Corporation, representatives from O'Connell Robertson & Associates, Inc., Collier Construction, Inc. and O'Malley Engineers as well as Trinity Care Center, Trinity Medical Center, and Trinity Foundation trustees, medical staff representatives and members of the hospital staff. Trinity Care Center, through the City of Brenham, is the recipient of a Texas Capital Fund grant of approximately $300,000 to finance road and utility costs that will help defray costs for the project. "Representative Kubiak, the City of Brenham, the Washington County Chamber of Commerce, and O'Malley Engineers were instrumental in providing the various levels of approval necessary in the grant application process," Simms said. Sixteen of the Care Center's rooms will be private; and 52 will be semi-private. Eighty of the beds will be Medicaid/Medicare certified, and 40 will be privately funded. The facility will provide skilled nursing care services. Once completed, Trinity Care Center will offer tastefully decorated resident rooms with high ceilings and private bathrooms. The comforts of home will be evident throughout the facility, with such amenities as a living room fireplace and a private dining room. Trinity Care Center's design enables each nurse's station to monitor not only resident wings, but also its outdoor courtyards and patio, where residents and family will be able to enjoy outdoor activities and visits with friends and family in a natural, yet secure setting. A full and varied activity schedule will be fulfilled in one of several day rooms and activity rooms. The facility's fully staffed and equipped therapy clinic will provide physical, speech and occupational therapy. The clinic will also offer interested residents access to its fully-equipped kitchen for baking cakes and preparing special dishes with staff assistance. Trinity Care Center's main dining room will be a continuation of the home-like atmosphere, featuring home- cooked meals prepared under the supervision of a registered dietitian. Clothing care will be provided by the latest in laundry equipment, and hairstyling, manicures and pedicures will be provided in an on-site beauty salon. "The quality of services at Trinity Care Center will be ensured through governance by a local board of trustees selected by the community and the Sisters of St. Francis of Sylvania, Ohio." Trinity Care Center Board of Trustees Chairperson Milton Y. Tate, Jr. said. Care Center trustees are: Tate, chairperson; Melvin H. Ehlert, Sr., vice chairperson; Charles R. Moser, secretary; John L. Simms, president; Paul A. Ehlert; and Sister Kathleen Skog, OSF. "Trinity Care Center's mission will be to provide services to the elderly with dignity and compassion," Tate said. "We are dedicated to providing trained staff members to ensure quality care and foster meaningful staff/resident relationships," he said. 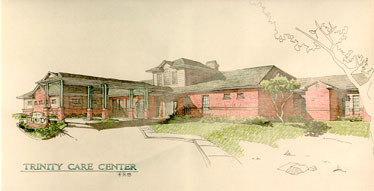 Targeted completion date for the Care Center is July 1999. Trinity will begin taking reservations for resident rooms in January 1999. The Project Office, in cooperation with the University of Texas at Austin, sponsored its third Year 2000 summit on April 15, 1998.
Business Continuation Planning, Embedded Systems, and Year 2000 Testing. Over 500 people representing approximately 130 agencies and universities, 40 school districts, 13 cities, and 48 private entities attended the Summit. Speakers included the Honorable State Representative Dan Kubiak, Chairman, House Committee on Appropriations Interim Subcommittee on Major Information Systems, the Honorable State Representative Scott Hochberg, the Giga Information Group and USAA. TWENTY-SEVENTH DAY - MONDAY, MARCH 1, 1999 The house met at 10 a.m. and was called to order by the speaker. The roll of the house was called and a quorum was announced present (Record 27). Present - Mr. Speaker; Alexander; Allen; Alvarado; Averitt; Bailey; Berman; Bonnen; Bosse; Brimer; Brown, B.; Brown, F.; Burnam; Capelo; Carter; Chavez; Chisum; Christian; Clark; Coleman; Cook; Corte; Counts; Crabb; Craddick; Cuellar; Culberson; Danburg; Davis, J.; Davis, Y.; Delisi; Denny; Deshotel; Driver; Dukes; Dunnam; Dutton; Edwards; Ehrhardt; Eiland; Elkins; Ellis; Farabee; Farrar; Flores; Gallego; Garcia; George; Giddings; Glaze; Goodman; Goolsby; Gray; Green; Greenberg; Grusendorf; Gutierrez; Haggerty; Hamric; Hardcastle; Hartnett; Hawley; Heflin; Hilbert; Hilderbran; Hill; Hinojosa; Hochberg; Hodge; Homer; Hope; Howard; Hunter; Hupp; Isett; Janek; Jones, C.; Jones, D.; Jones, J.; Junell; Keel; Keffer; King, P.; King, T.; Krusee; Kuempel; Lengefeld; Lewis, G.; Lewis, R.; Longoria; Luna; Madden; Marchant; Maxey; McCall; McClendon; McReynolds; Merritt; Moreno, J.; Moreno, P.; Morrison; Mowery; Naishtat; Najera; Nixon; Noriega; Oliveira; Olivo; Palmer; Pickett; Pitts; Puente; Ramsay; Rangel; Reyna, A.; Reyna, E.; Ritter; Sadler; Salinas; Seaman; Siebert; Smith; Smithee; Solis, J.; Solis, J. F.; Solomons; Staples; Swinford; Talton; Telford; Thompson; Tillery; Truitt; Turner, B.; Turner, S.; Uher; Uresti; Van de Putte; Walker; West; Williams; Wilson; Wise; Wohlgemuth; Wolens; Woolley; Yarbrough; Zbranek. Absent, Excused - Crownover; Shields. Honorable James E. Laney, speaker of the house, Honorable Ron Clark, District 62, Grayson County, Texas, state representatives of the 76th session of the state legislature, let us pray. 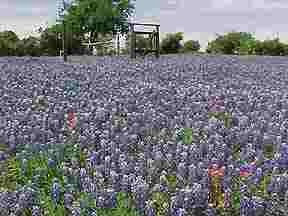 God of infinite wisdom, we stand in this hall of governance of the State of Texas in an act of prayer. We invite your presence on behalf of the elected officials here today. Enable each of them to make decisions on behalf of all of the citizens, the unrepresented, the underrepresented, the powerless, the poor. Empower the decision makers to face the challenges before them today. Challenges that will result in changes that will ultimately impact the future of the citizens of the State of Texas: public education; general appropriations; public safety; judicial affairs to name a few. As the prophet Micah spoke centuries ago, "What does the Lord require of you but to do justice, and to love kindness, and to walk humbly with your God." This is our request in the name of Jesus. Amen. HR 300, In memory of the Honorable Daniel James Kubiak. HR 300 was read and was unanimously adopted by a rising vote. On motion of Representative B. Turner, the names of all the members of the house were added to HR 300 as signers thereof. The speaker then recognized Representative C. Jones, who introduced friends and family of the Honorable Dan Kubiak: his sons, Kelly and Kody; his daughter Alyssa; his siblings, Leonard Kubiak, Dr. L. B. Kubiak and his wife, Jenny, Dr. Richard Kubiak and his wife, Linda, and Shirley Stewart and her husband, Rick; his nephew Shawn Stewart; his nieces, Laurie and Lindsay Kubiak; and his friends, Gayle Zapalac, Carrie Splett, Mayor Wallace Jones and his wife Cheryl, Peggy Hosek, and Deborah Burrough. Snider Family History of Robertson County by Leonard and Dan Kubiak. Copyright 2004, 2005, 2006, & 2007. All Rights Reserved.